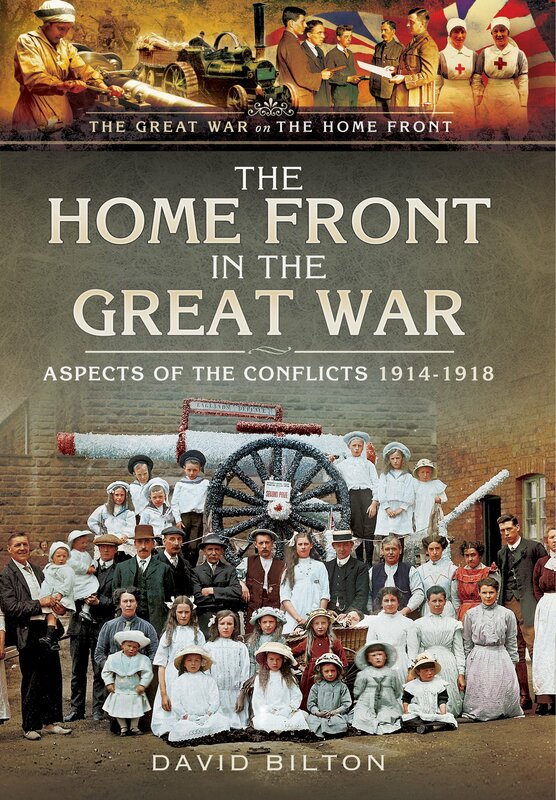 Another timely reprint from Pen & Sword, but focusing on the home front rather than the action on the front lines. The term ‘forgotten’ is being bandied about a lot during the present centenary period, often without much justification, but I do think that the home front during the war has at best been greatly overlooked, and is generally an aspect of war that most people would connect with the Second World War rather than the First. David Bilton’s book seeks to redress that balance. The first part of the book provides a chronological account of the war – but from the home front perspective. This covers aspects such as recruitment, laws, the economy, women workers, military tribunals, and rationing. Section two provides a timeline of the home front (maybe better suited either at the start or as an appendix), whilst the final section delves more deeply into certain aspects of life at home during the war. This section covers topics as diverse as the Scout movement, Belgian refugees, and fishermen during the war. When studying the First World War the practicalities of trawlermen circumventing German mines in order to land their catch is perhaps not the first thing that springs to mind. Yet these men placed themselves in danger and many of them were captured and interred by the Germans. The book is full of lesser-known aspects such as this, providing a wealth of useful information for the casual reader or First World War enthusiast. There does not seem to be any real structure to this section, which could best be described as a brief dip into several topics rather than an in-depth, structured account of the home front. The sheer volume and variety of illustrations must be especially commended, superbly complementing the text with nearly every page accompanied by relevant pictures.